Everyone who’s ever been in business knows the importance of customer retention. Today, with every consumer having access to retail on a global level, it’s even more important to find ways to separate yourself from your competition. 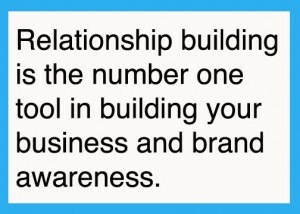 In Scott Stratten’s book, UnMarketing, he talks about relationship building as your number one tool in building your business and brand awareness. In fact, the subtitle says it all, Stop Marketing. Start Engaging. Sadly, so many of you spend too much time in the back office, or you’ve delegated the relationship building to other staff members. This falls under the what-goes-around-comes-around umbrella, because it’s hardly a new concept. As the senior manager, owner or founder of the business, you need to get yourself out there! You have a unique opportunity to put your business in the spotlight. From my perspective, you have two different targets for your business. First is your staff, the people working for you. Second is your buying audience, both current customers and future potential buyers. In both cases, you’ve got an opportunity to start building relationships simply by being helpful. In fact, that’s the foundation for everything in your marketing repertoire, no matter the target. Your Staff. Learn to say “thanks.” I know for many of you it’s obvious, but for a lot of you it’s a forgotten activity, or you need to do more of it. Holiday or year-end bonuses are great, but there are so many little things you can do throughout the year. I remember a morning in my early Hasselblad days when the employees came into the office to find the senior management team cooking them breakfast. All five of us had on aprons and were busy cooking and serving the company’s 50 employees. In fact, I remember our services manager, Carl Claesson, spending so much time squeezing fresh orange juice that the right arm of his sweater was orange right to the elbow! Food was always a fun motivator. At least one day a month, always at random, we brought in carryout. From pizzas to Chinese food and sub sandwiches, bringing in lunch for everybody was a treat. Time off was another valuable commodity, and again, it was often done at random. Just letting people go a few hours early on a Friday to kick off their weekend made a huge difference. We showed our appreciation and it took so little. 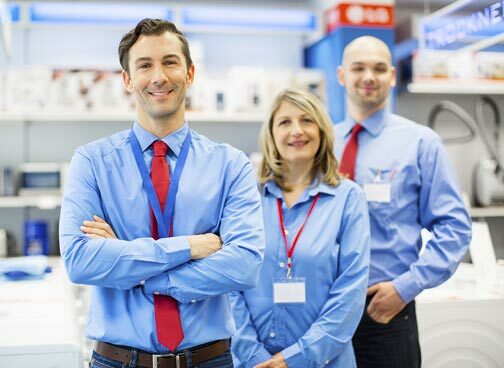 Your employees are your most valuable resource—not your inventory or your credit lines. Conventions, trade shows, vendor outings all need to be in your arsenal of motivational tools. Sure it’s important to make sure employees are compensated fairly in the paycheck, but just money alone isn’t a motivator. You need to make them feel appreciated and include them as much as possible in the running of the department or store. Your Consumer Audience. This is where the Internet and social media play a significant role. You need two key things: a blog for your business and a handle in places like Facebook, Twitter and Pinterest. Here’s why. Your website is about your business and what you sell, but your blog is about what’s in your heart. Being accessible as the owner, founder or senior manager of the store is key once again to building relationships. This is about extending your reach to your customers beyond spending a little time each day on the selling floor. “But, Skip, I’m not a photographer, what would I write about?” you ask. Write about why you started the business in the first place. Use “Throwback Thursday” as a theme to pull out some old photographs of the store, customers or staff members and talk about how things have changed. 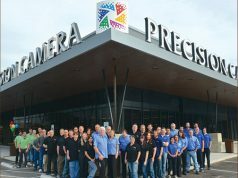 Talk about the importance of images and include some of your staff to write a paragraph or two about a favorite new product or technique. Just be helpful. Being helpful is the key to success in every aspect of social media, customer service and building any relationship. Use your blog to share ideas on imaging, events in your community involving photography and ways to capture better images. And, if you don’t have the skill set to give customers suggestions on picture-taking tips, let one of your staff write their own weekly series. Use your blog to talk about educational programs and guest speakers you’re bringing to the community. Sponsor contests in the search for great images and then share them on the blog. Invite your vendors to write guest posts for your blog. Every manufacturer has at least a staff member or two currently writing for the corporate blog—so go after them for some content. The Internet changed everything in photography and the way we share images. It also changed everything in our reach. Today, everyone, through a strong presence in social media, has a level of power and reach that only a few years ago was reserved for major magazines and newspapers. I’ll wrap this article up with going right back to the beginning. 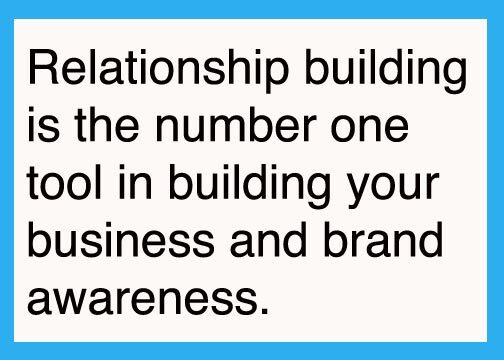 Your greatest marketing tool is all about relationship building with your staff and the community! Even more significant is that you’re the only one who can pull all of the components together. Skip Cohen has been involved in the photo industry his entire career. 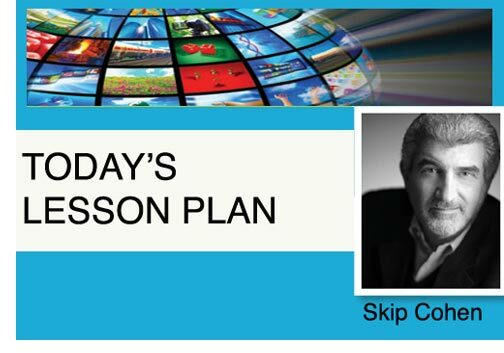 In 2013 he launched SkipCohenUniversity.com, considered one of the fastest-growing sites and blogs in professional photography. Cohen is the president/founder of Marketing Essentials International, a consulting firm started in 2009 that specializes in projects dedicated to education, primarily in photography, along with social media support. Previously, he served as president/COO of Rangefinder Publishing, where he was responsible for Rangefinder and AfterCapture magazines, as well as the Wedding and Portrait Photographers International Association and the WPPI Convention and Trade Show.